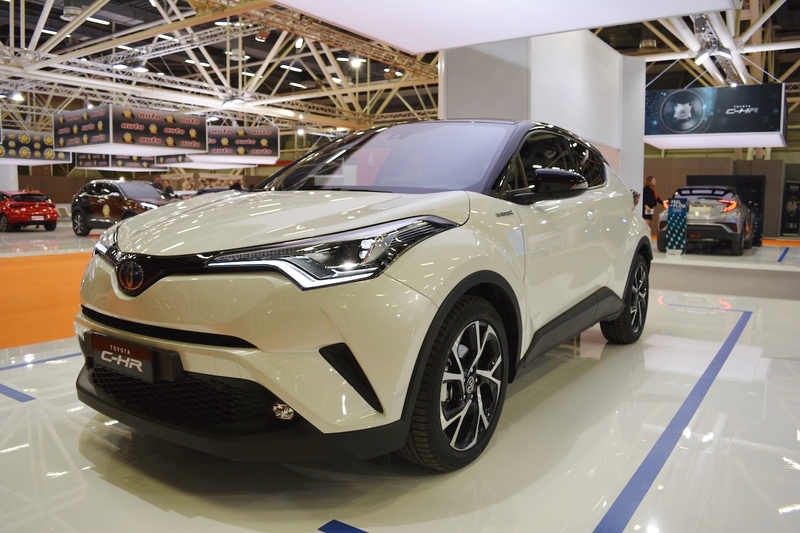 Toyota showcased the Toyota C-HR in Malaysia in May, and now, it has listed the small SUV on the local website. The company has put up a dedicated page for the car on which interested customers can register their interest. The Malaysian-spec Toyota C-HR has a 1.8-litre petrol engine paired to a continuously variable transmission. The Toyota C-HR was introduced last year in 1.2- and 2.0-litre petrol models and a 1.8-litre petrol-electric hybrid model. The 1.2-litre turbocharged four-cylinder petrol engine produces 116 PS and 185 Nm. The 2.0-litre naturally aspirated four-cylinder petrol engine develops 144 PS and 188 Nm of torque. In the hybrid model, there's the 2ZR-FXE 1.8-litre petrol producing 98 PS and 142 Nm of torque which works together with the 1NM electric motor capable of generating 72 PS and 163 Nm of torque. The Malaysian-spec Toyota C-HR features follow-me headlights, puddle lamps, multifunction steering wheel with gloss black inserts and Rear Cross Traffic Alert. Toyota is yet to release complete equipment list and grade-wise division. Those details should emerge closer to the launch. Before the launch, Toyota will preview the Toyota C-HR at three locations in Malaysia - Penang, Selangor and Kuala Lumpur. Before the launch, Toyota will preview the C-HR at three locations in Malaysia - Penang, Selangor and Kuala Lumpur. C-HR customers will have six colour options: White Pearl CS, Metal Stream Metallic, Attitude Black Mica, Red Mica with Black Roof (two-tone), Radiant Green Metallic with Black Roof (two-tone) and Blue Metallic with Black Roof (two-tone).